Charming Charlie has the cutest accessories for Summer! From this off the shoulder top to this clutch to this ring, they have a huge variety of accessories. So many of there pieces look good stacked and worn together like the ones I’m wearing! They have great statement pieces along with dainty jewelry as well, which I love both! 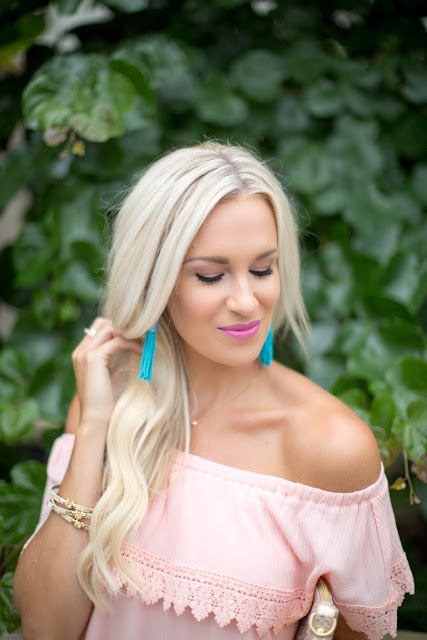 Charming Charlie is a cute and affordable way to accessorize this Sumer!